It looks like PopCap HD will soon be offering Plants vs. Zombies: Garden Warfare players the option to purchase in-game Sticker Packs with real life money. How soon, you ask? In-game coins will be available for purchase in the Sticker Shop sometime next week, according to Brian Lindley, Producer of Garden Warfare, in a recent blog write-up. Before anyone screams “microtransactions!” in horror, it doesn’t look like the option will really offer any type of in-game advantage and won’t turn Garden Warfare into a pay-to-win scheme. There are still character variants that you will need to work for, such as the Camo Cactus, or any level 10 variant of a character. Also, the addition of microtransactions shouldn’t come as a big surprise, as the game does offer free DLC. Support for in-game purchases was also a point of discussion earlier. 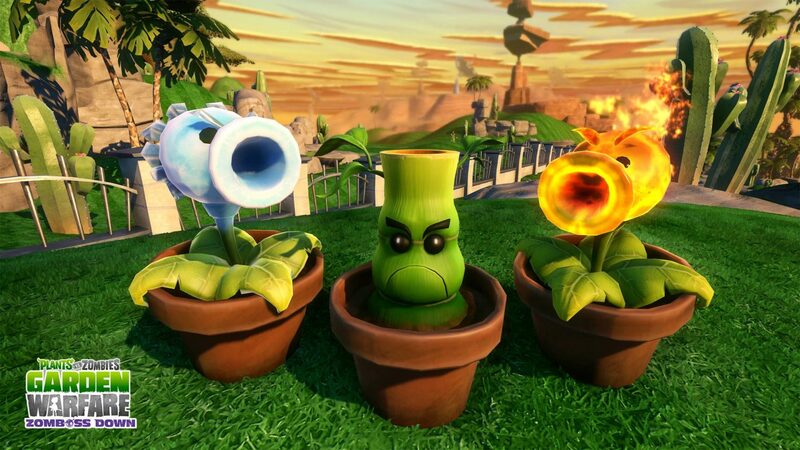 Recently, Garden Warfare received its latest free DLC, Zomboss Down. You can catch my review here.